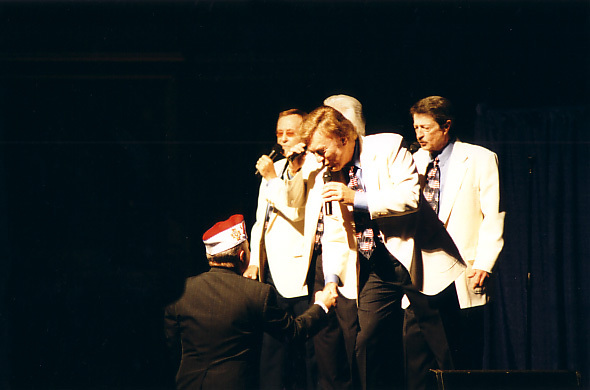 The VFW Banguet crowd welcomes the Jordanaires: (From left to right) Ray Walker, Louis Nunley, Curtis Young, and Gordon Stoker. 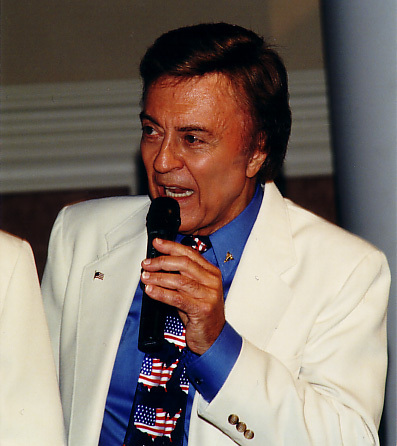 Ray Walker takes a solo during "God Bless The USA". 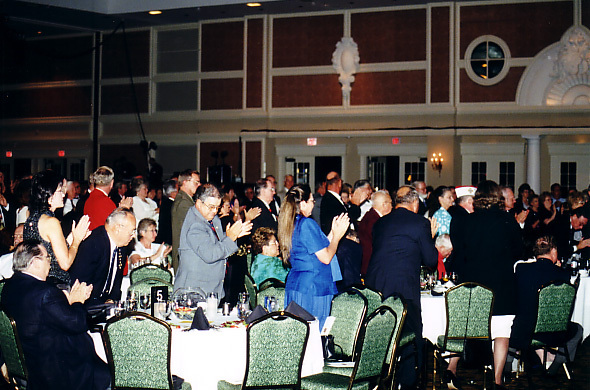 Carl Adkins, writer of "Johnny Was A Hero", "Checkerboards", "Calm Before The Storm", and "Tennessee Green" introduced to the Banquet crowd. 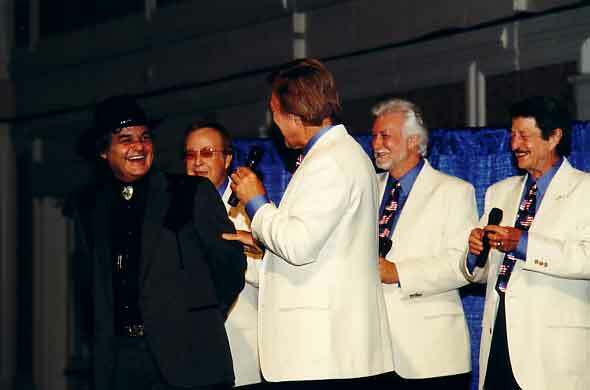 A serious moment in the Jordanaires performance. 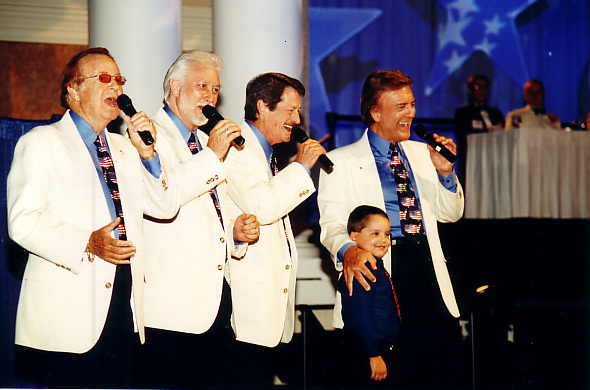 A young fella' just had to be close to the Jordanaires during their performance. 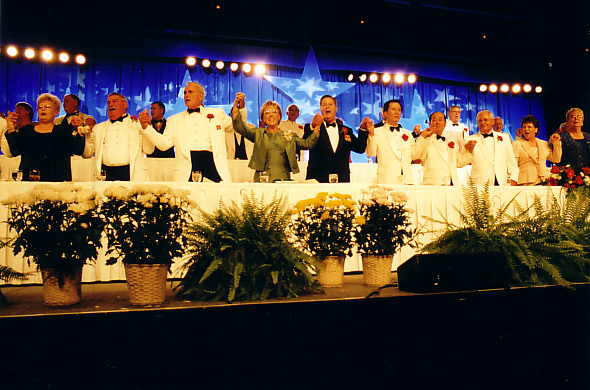 Head table Dignitaries stand during "God Bless The USA". 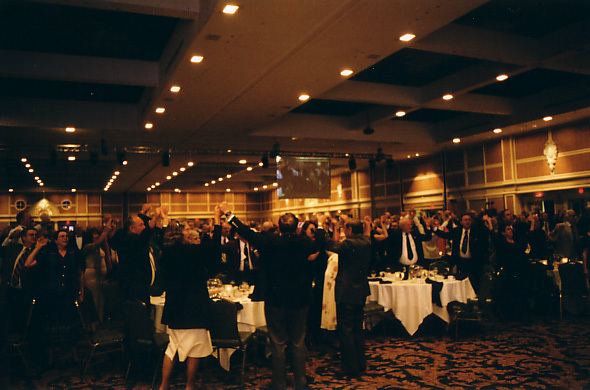 All stand during singing of "God Bless The USA", and they sang along, too. 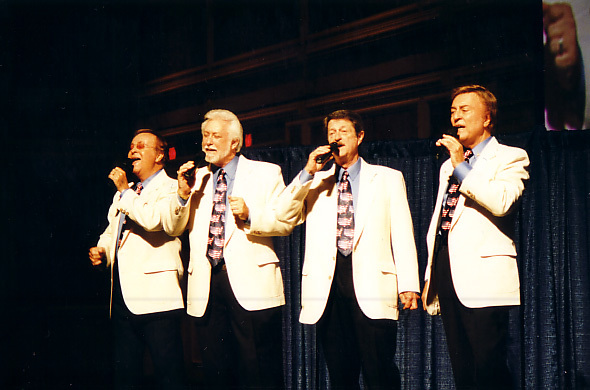 Jordanaires performing "God Bless The USA". 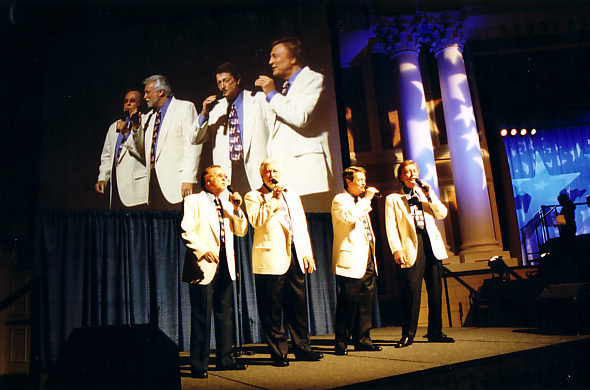 Show's over. 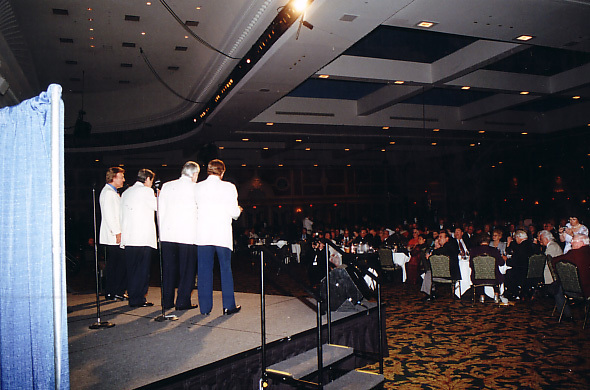 The Banqueters give the Jordanaires a five minute, standing ovation.